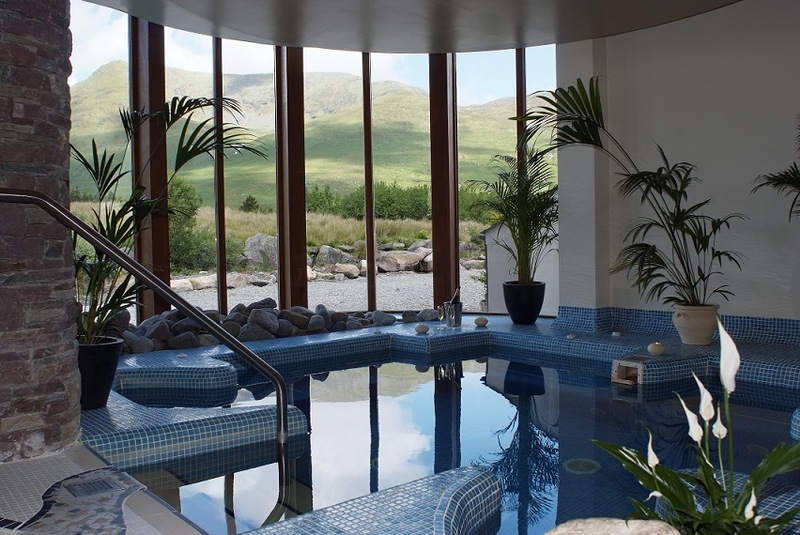 I visited Delphi Mountain Resort Spa during my whistle stop tour of Ireland last year. I arrived in the dark, full of a head cold, dragged myself into the spa, lay on a lounger and fell asleep for an hour. I ventured into the steam room at some point, in the hopes of steaming my cold away, but felt guilty at the thought of spreading my disease to unsuspecting guests. This visit was a far more pleasant experience. I was on a relaxing His and Her’s weekend and as my other half braved the cold, westerly winds on Connemara’s lakes, I took myself off for a bit of pampering. The spa area is relatively small, but numbers are restricted so at no point does it get overcrowded. The loungers look out across the barren mountains of Delphi and it’s easy to be mesmerised by the isolation before you. Within two minutes of arriving I was sprawled on a lounger wrapped in a dressing gown, sipping Delphi herbal tea and reading a magazine. Rain pelted against the windows and the wind swept through the valley and there was no other place I’d rather have been. I would happily have not moved from my perch, but thought I should look like I was making an effort. I pottered about the thermal suite, dipped into the jacuzzi, melted in the steam room and sauna and returned to my lounger suitably detoxified. I’d signed up for a seaweed bath, of which I’m a big fan. Who doesn’t love being immersed in a bath of slimy green algae? If you’ve never tried one, I highly recommend it. 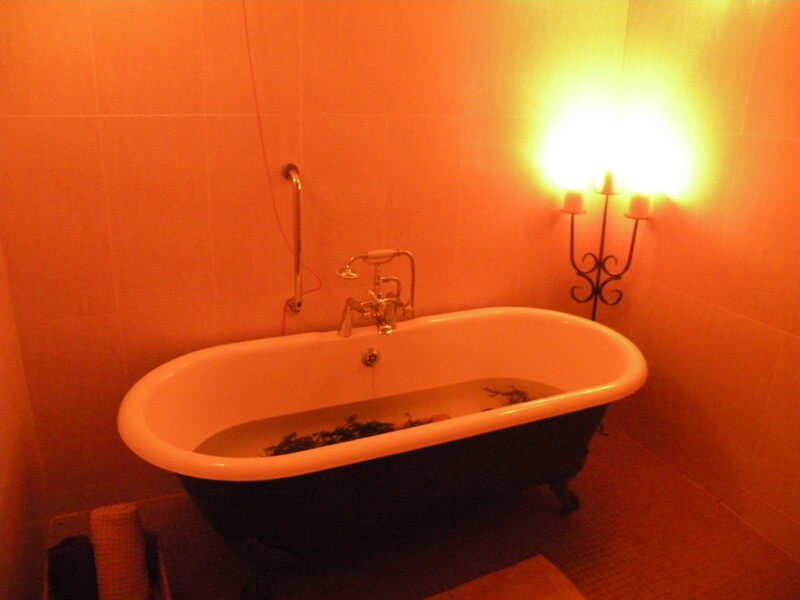 Sliding into the bath, my skin immediately softened and in the flickering candlelight, I lay back and let the seaweed do its job. Forty-five minutes later, I returned to my lounger for another cup of herbal tea and a few minutes of shut eye, my skin as smooth as silk. 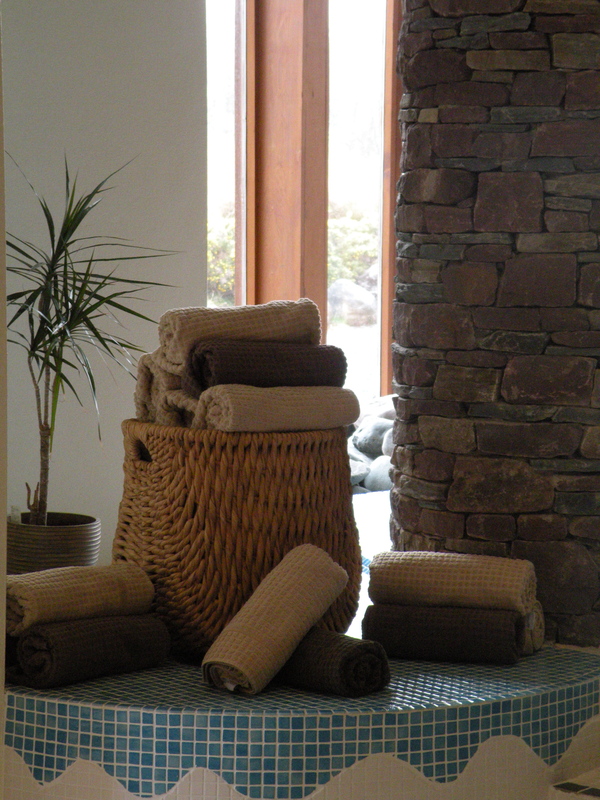 Next up was a Wrapcial – a luxe combination of a body wrap and a facial. Rose, my therapist, exfoliated and moisturised my skin as though I were a new born, then swaddled me in some cotton material and commenced to cleanse, massage and smother my face in delicious masks. At one point I could smell chocolate and as she was unwrapping and massaging my legs I had to have a sneaky taste. It may have smelt like chocolate, but it certainly didn’t taste like it. The hour and half passed too quickly and I found myself begging her silently never to stop. Unfortunately, all good things come to an end, but the effects of the treatment stayed with me even when I had to step out of the spa and face the sheets of rain and unseasonable cold. 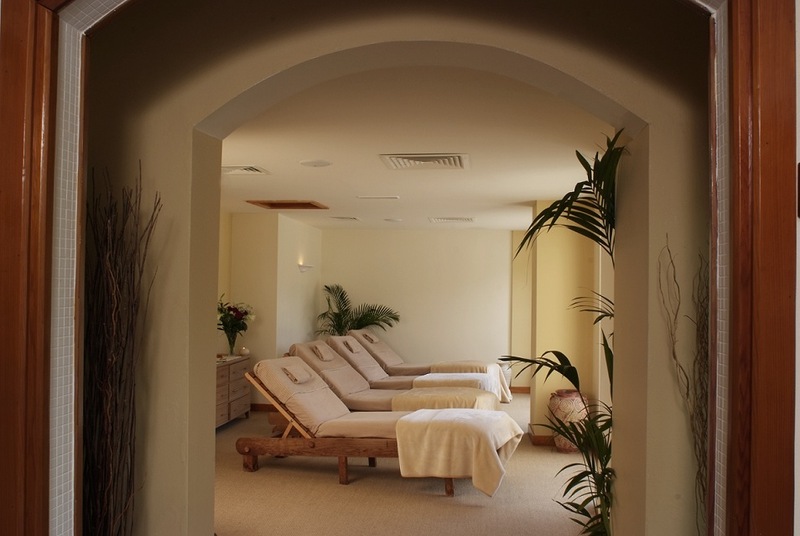 Having recently won Best Residential Spa UK & Ireland at the prestigious Professional Beauty Awards 2012 the spa has a name to live up to, but it didn’t disappoint. In fact, three hours was just not enough and I found myself wishing I had another day to do some more ‘me time’. I guess I’ll just have to go back again and next time I’ll bring the girls.